For many fleets vehicle idling is a major expense. 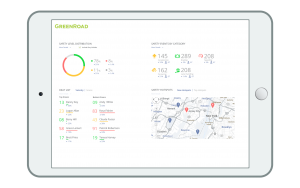 GreenRoad’s fleet management hotspot tool lets you identify specific times when more idling takes place such as before and after a shift or during extreme weather conditions, as well as geographic regions where idling is more common, such as warehouses, depots and office sites. Track fleet or individual driver performance over time and set new policies to reduce behaviours that result in higher fleet fuel costs. 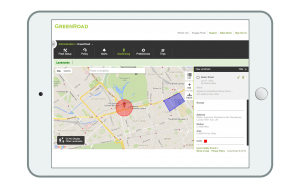 Once you’ve identified your fleet hotspots, you can create custom driver policies and set up landmarks and geo-fences to help drivers steer clear or exercise restraint in high-idling areas.